Nokia has announced the 'next steps in [its] transformation', which include axing 4,000 jobs and outsourcing all Symbian software activities to Accenture as it focuses on Windows Phone 7. Employees of the Finnish firm have known for some time that redundancies are coming, but the scale of the losses has now been revealed: 4,000 of the company's 65,000 global staff will be ditched by the end of 2012. 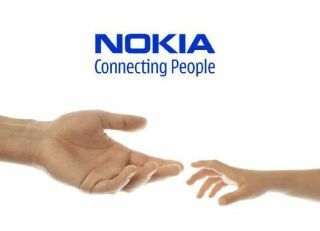 1,400 of the jobs will be lost in Nokia's native Finland and will be mainly in the Symbian and Meego research and development departments. As well as the redundancies, 3,000 Nokia staff will move to Accenture, the company to which Nokia is outsourcing all Symbian software development and support. Stephen Elop, Nokia's president and CEO, said of the new plan: "With this new focus, we also will face reductions in our workforce. This is a difficult reality, and we are working closely with our employees and partners to identify long-term re-employment programs for the talented people of Nokia." To this end, Nokia has launched a social responsibility program, which, it says, will invest time, money and expertise to support re-employment in all countries and communities in which the job losses will have a significant impact. Weirdly, Nokia's press release announcing the redundancies begins with a rather twee analogy about sipping some water and blinking being the reasons that the company fell behind in the smartphone race. We're sure that reducing the reason for 4,000 people losing their jobs to such a banal basis will bring the soon-to-be-ex-Nokia employees great comfort.